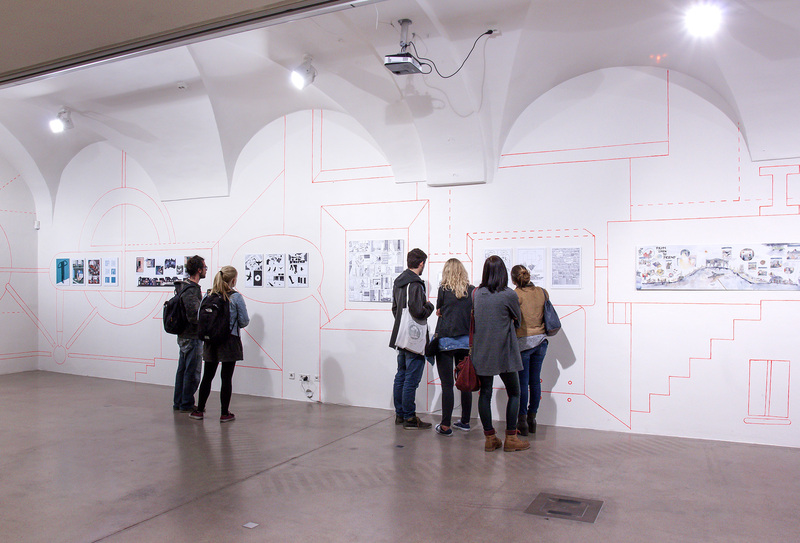 Comic artists are both, writers and visual artists. 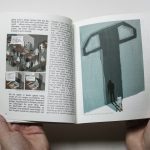 Yet how do text and image relate to each other in their works? 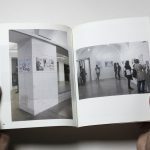 What happens in the white space between the images? 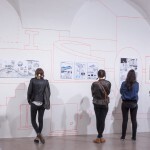 What do their perspectives evoke? 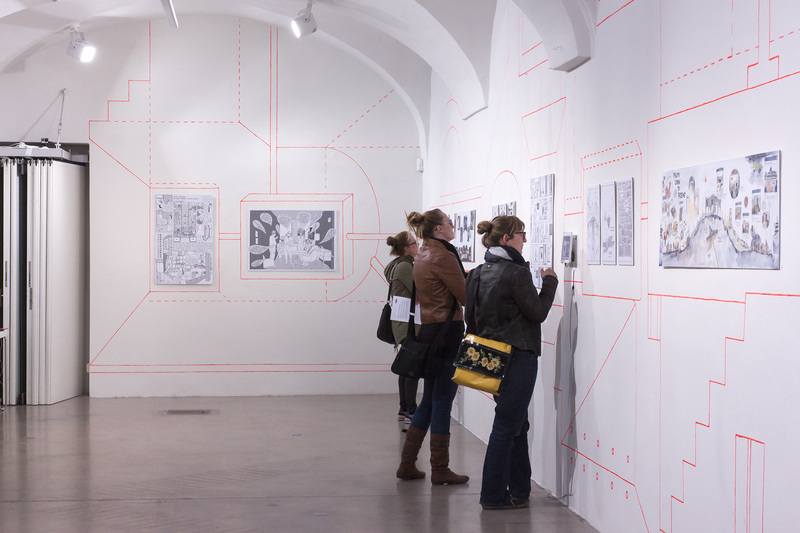 Those and other issues constitute the secret of comic art, also called the ‘Ninth Art’. 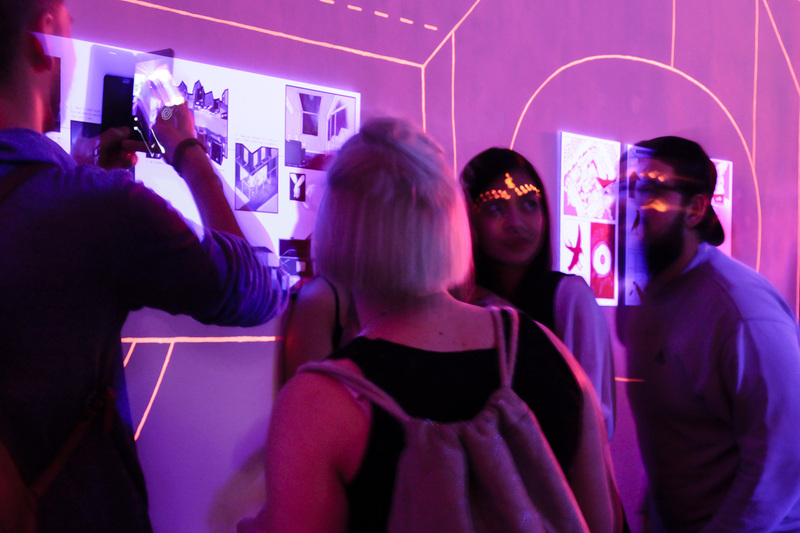 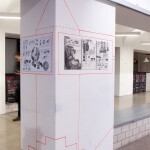 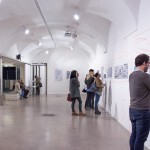 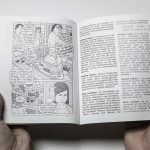 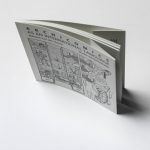 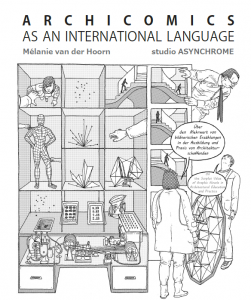 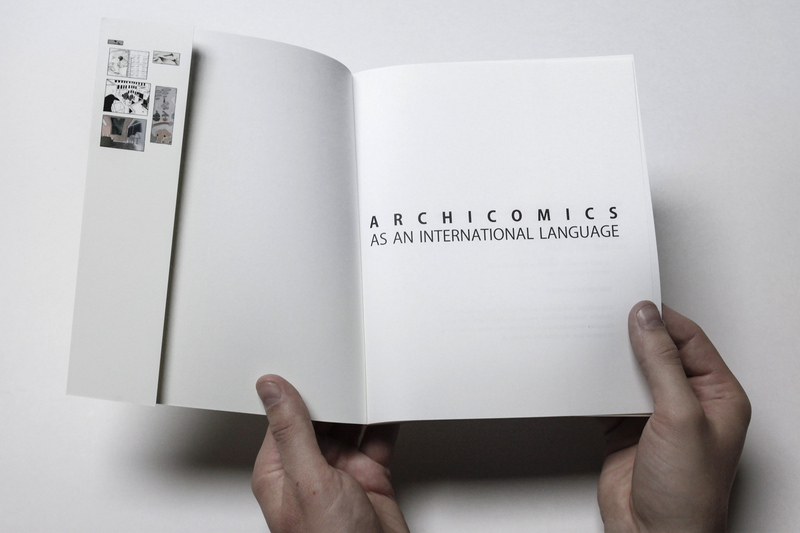 Internationally there is a growing interest for the narrative potentials of the comic-strip medium as an alternative mode of representation and communication in architecture. 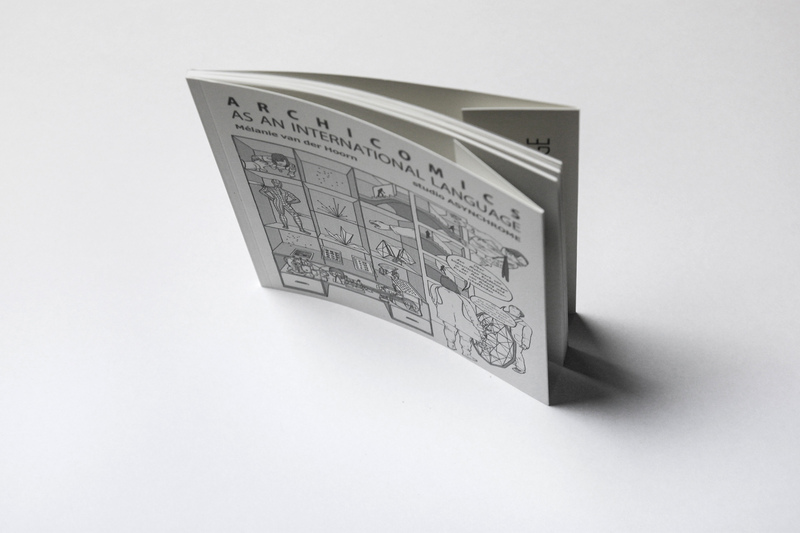 Architects use the comic-strip form as an efficient form of applied art: Buildings are brought to life, alternative scenarios to the present are explored, real or fictive inhabitants evoke the stories ‘behind’ the architecture in itself. 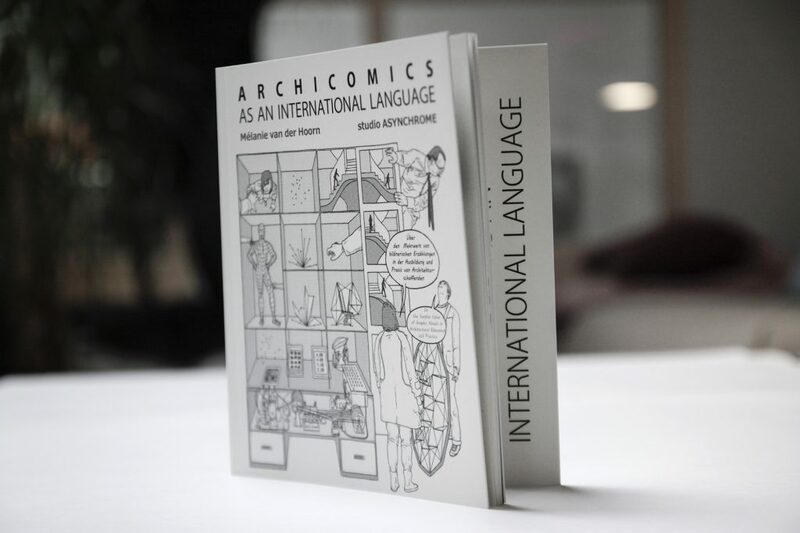 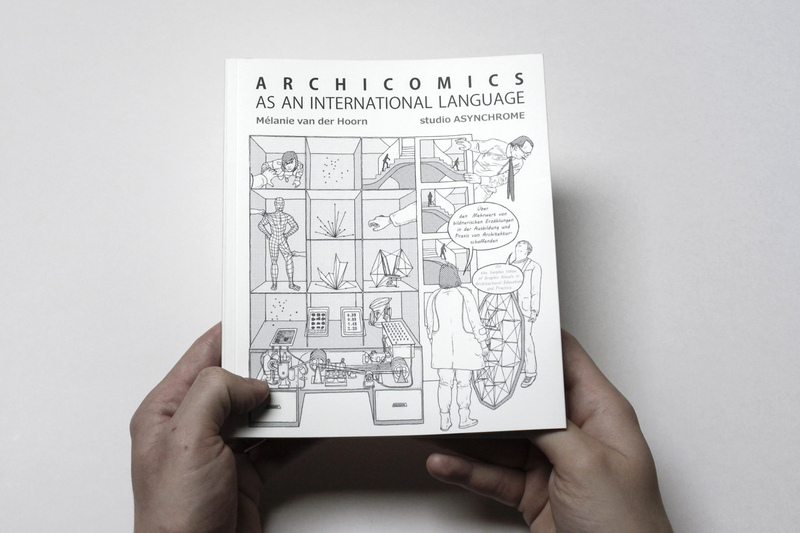 In a context of intense societal changes, Archicomics as an International Language in an attempt to raise consciousness for the potentials of the comic strip as an architectural and theoretical tool, a form of art and a multifaceted mode of communication. 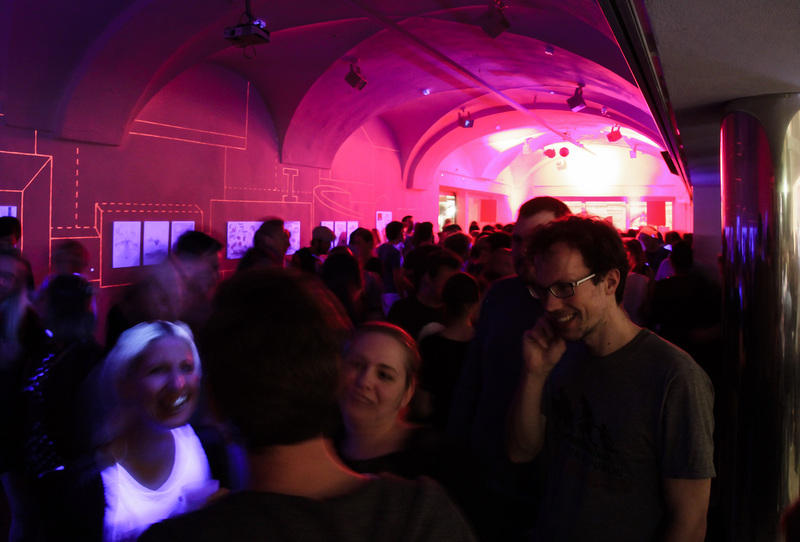 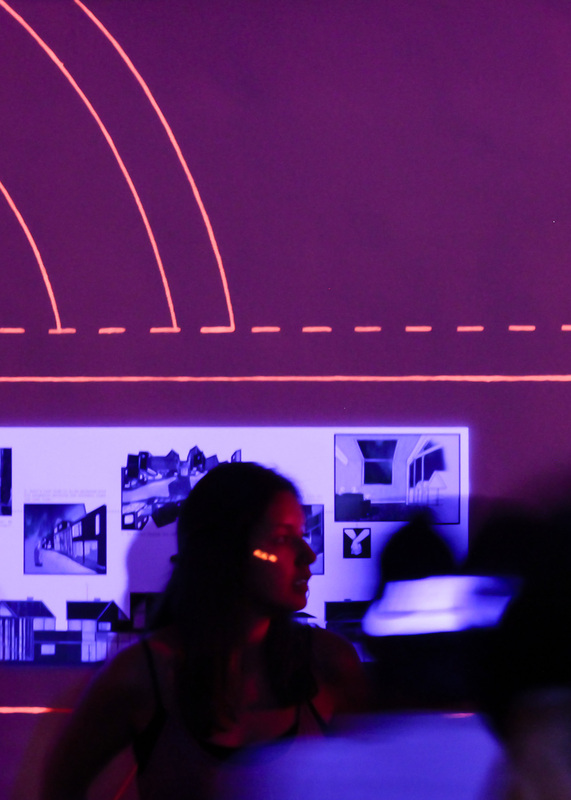 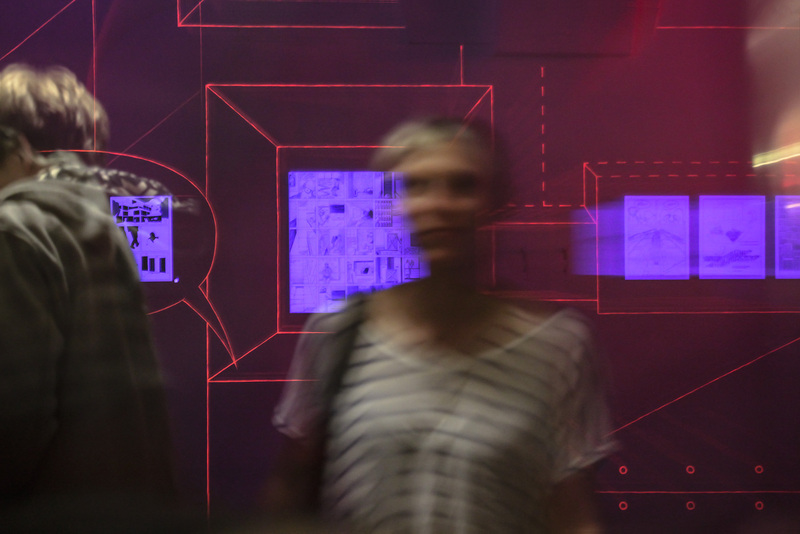 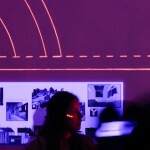 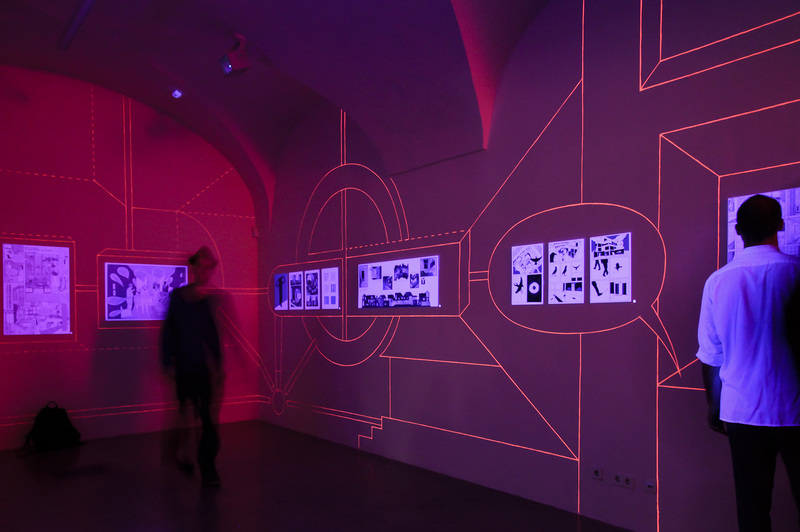 From the 4th to the 8th of May 2016, the House of Architecture in Graz becomes the centre of the blooming scene of the narrative turn in architecture. 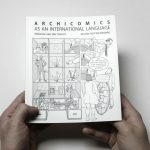 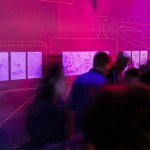 The exhibition Archicomics as an International Language presents a selection of comics by future architects from Graz, Oslo and Cleveland. 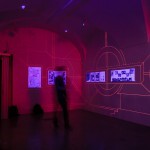 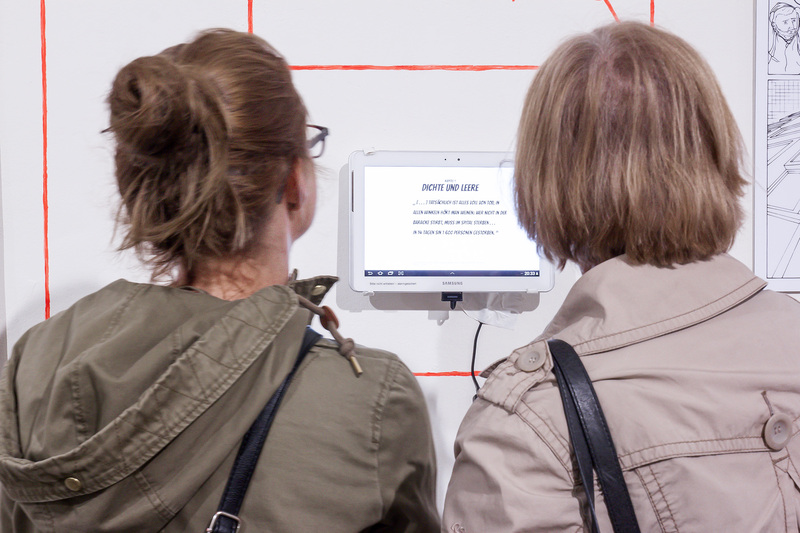 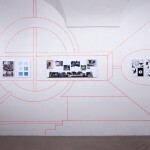 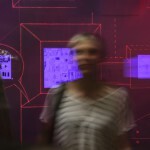 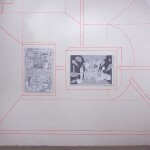 Their works display an astonishing combination of socio-critical engagement, acute self-reflection and subtle humour. 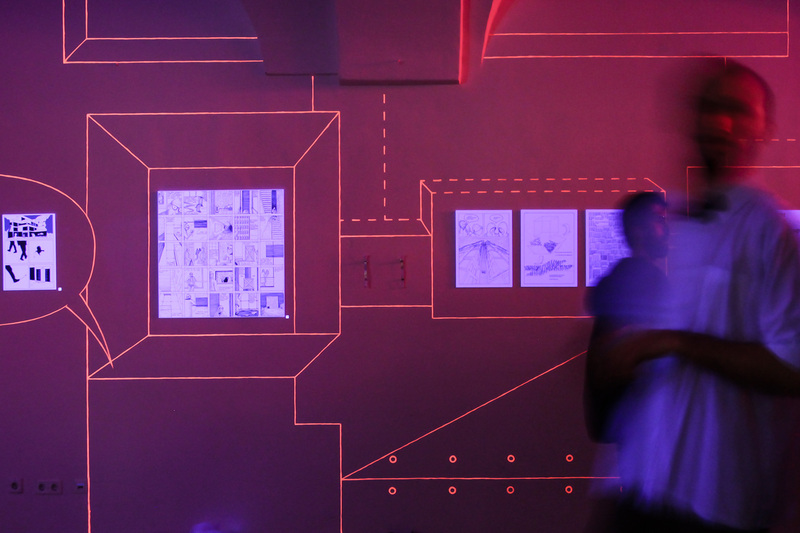 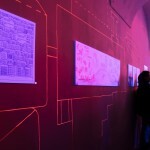 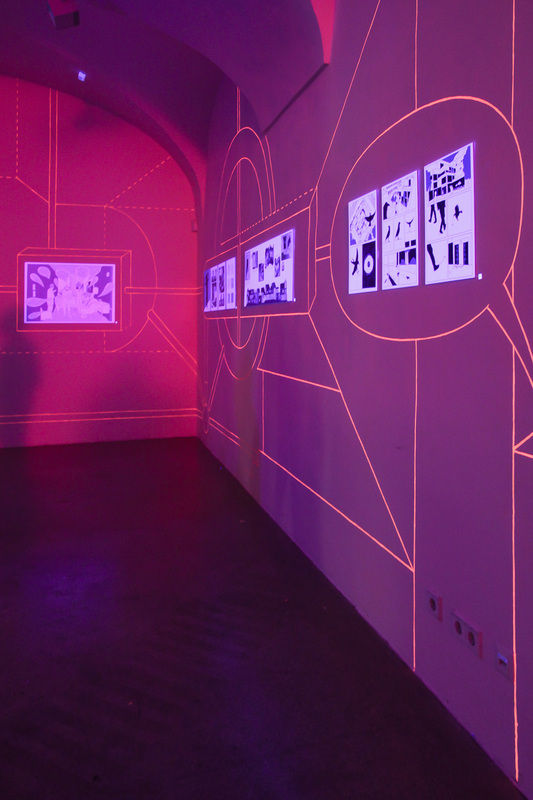 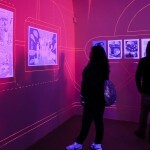 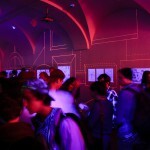 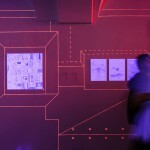 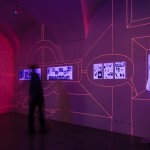 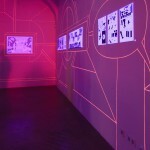 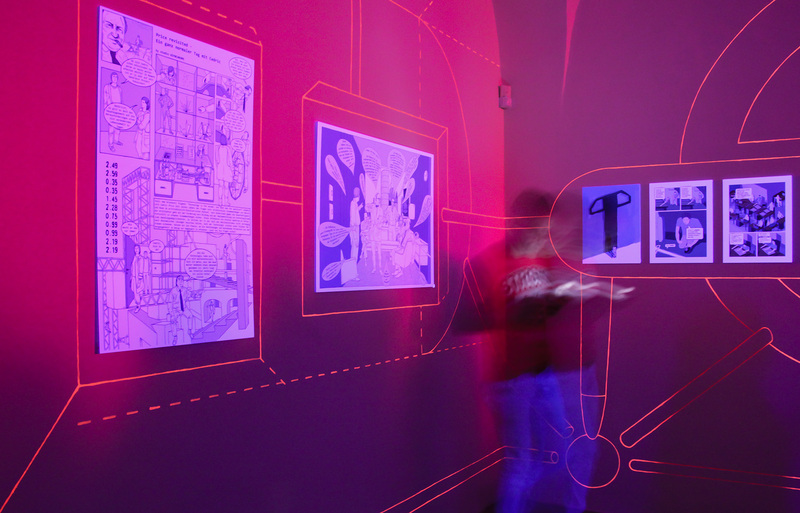 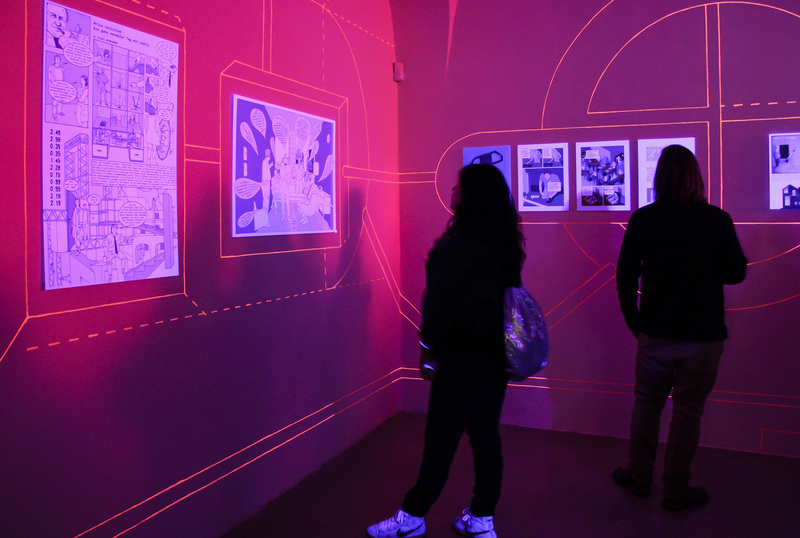 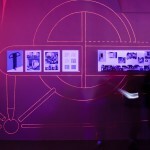 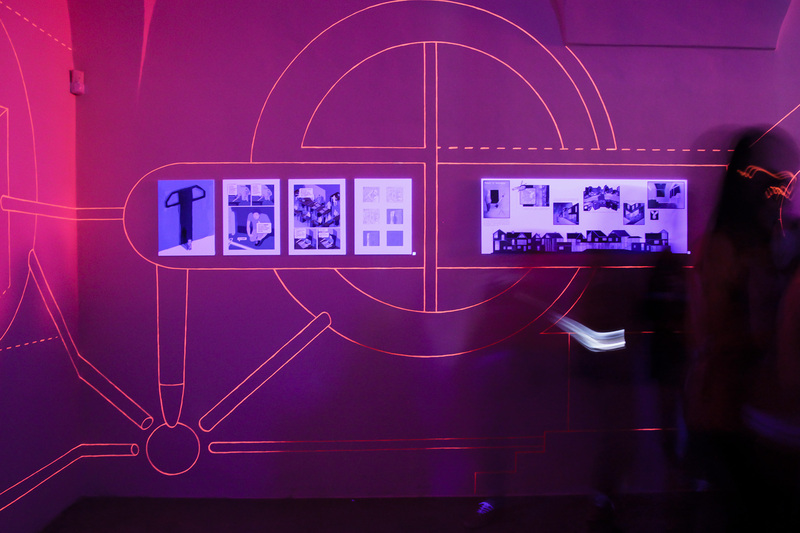 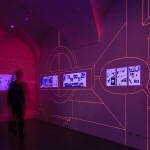 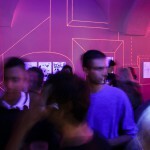 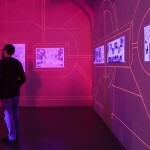 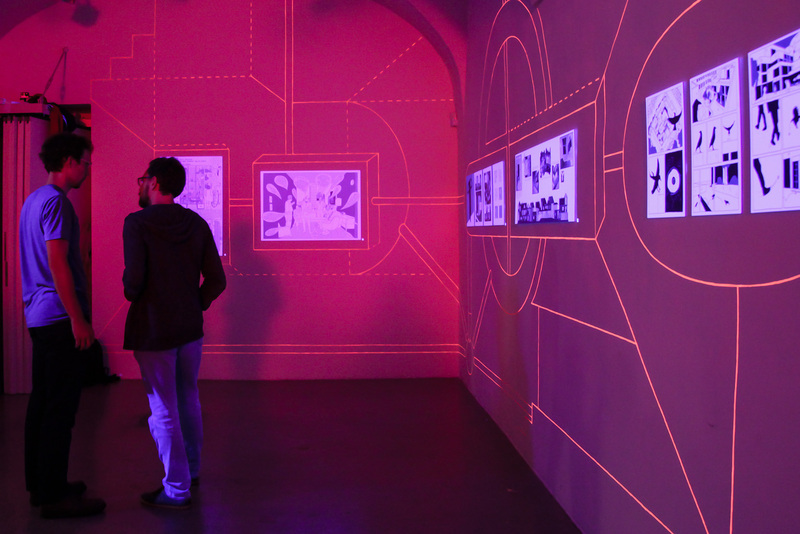 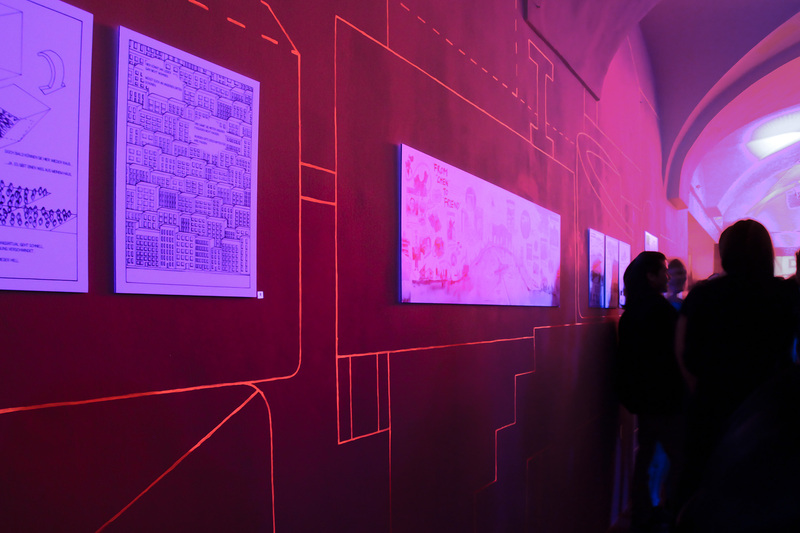 studio ASYNCHROME designed and realized a mural specifically for the Archicomics-exhibition. 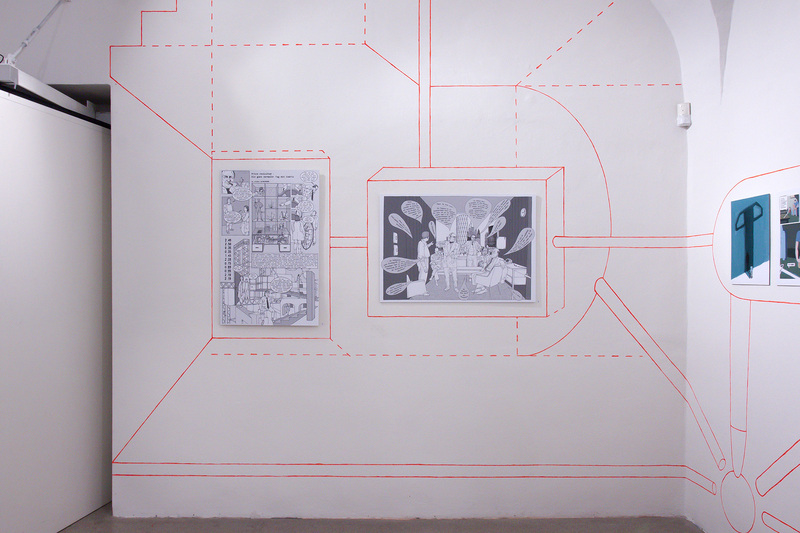 All the works on display were embedded in this mural, bringing them together despite their large diversity. 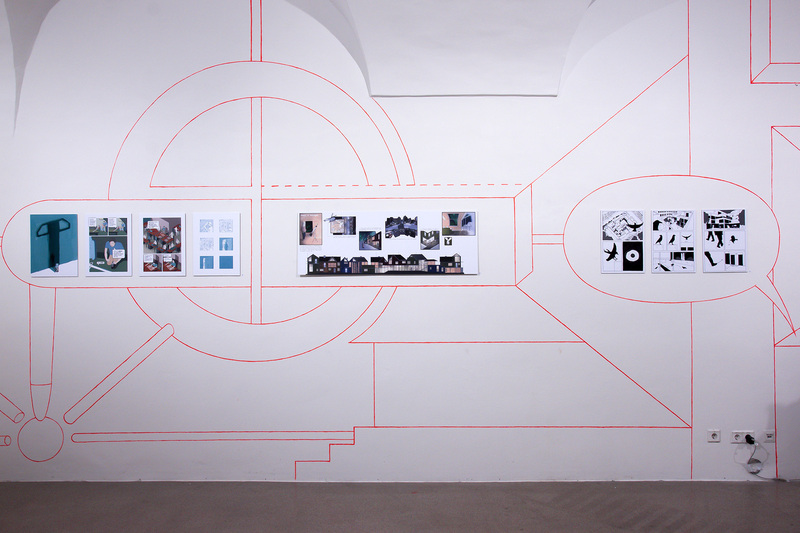 The composition of the mural itself referred to various icons from the History of Architecture, such as the Casa Malaparte by Adalberto Libera, thus giving shape to an additional, abstract, narrative layer. 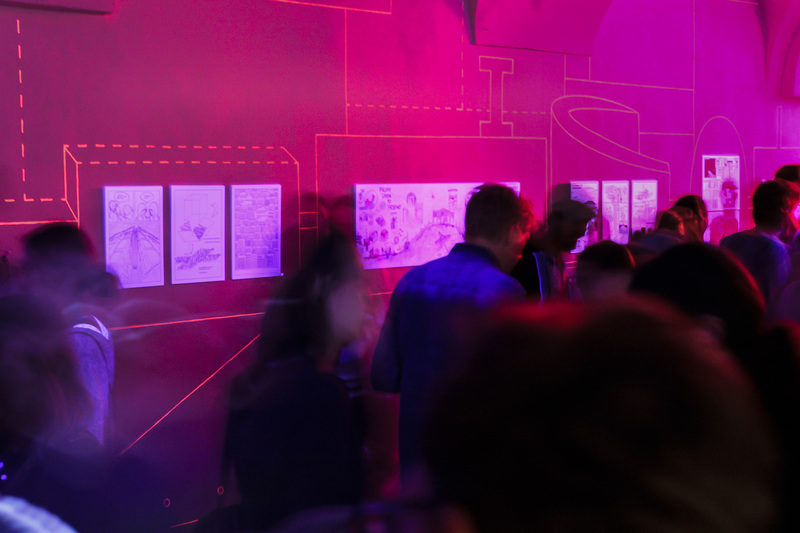 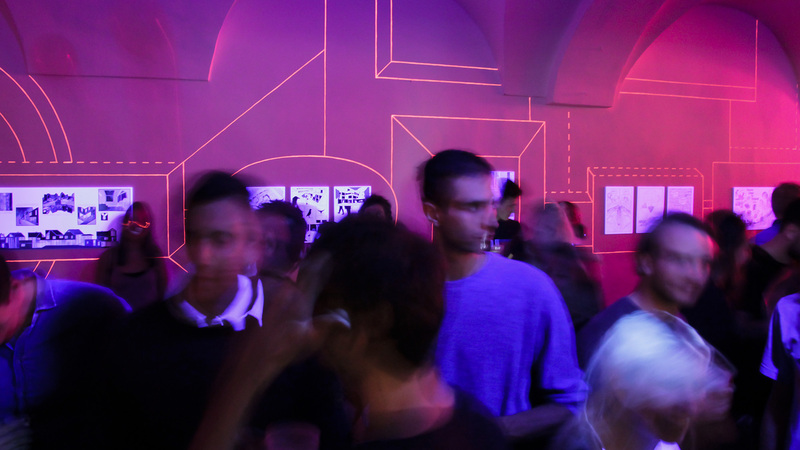 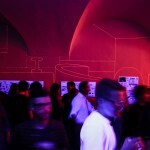 It was important not to limit the mural’s visibility to daytime visitors only, but to make the work accessible to partygoers as well. 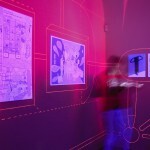 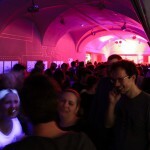 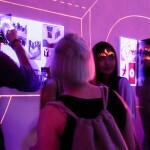 Therefore the mural was realized with neon paint that could be illuminated with black light in order to easily shift from a day- to a night-time scenario. 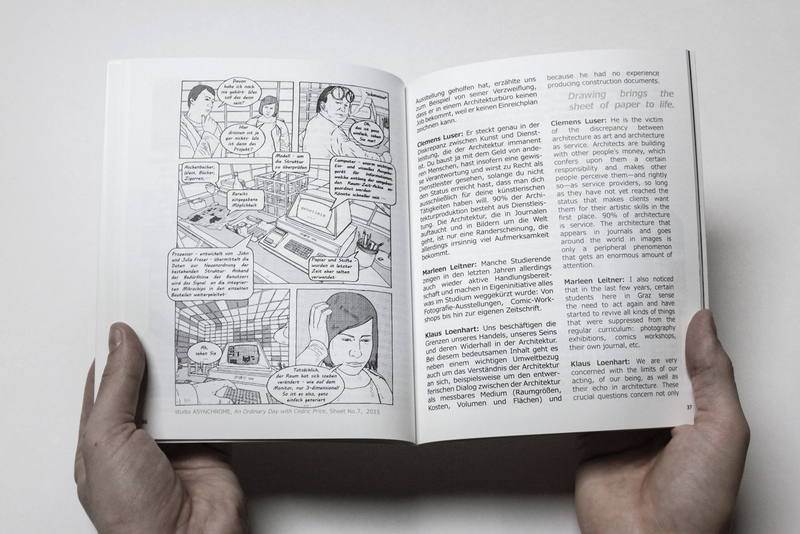 Comics artists are both authors and visual artists. 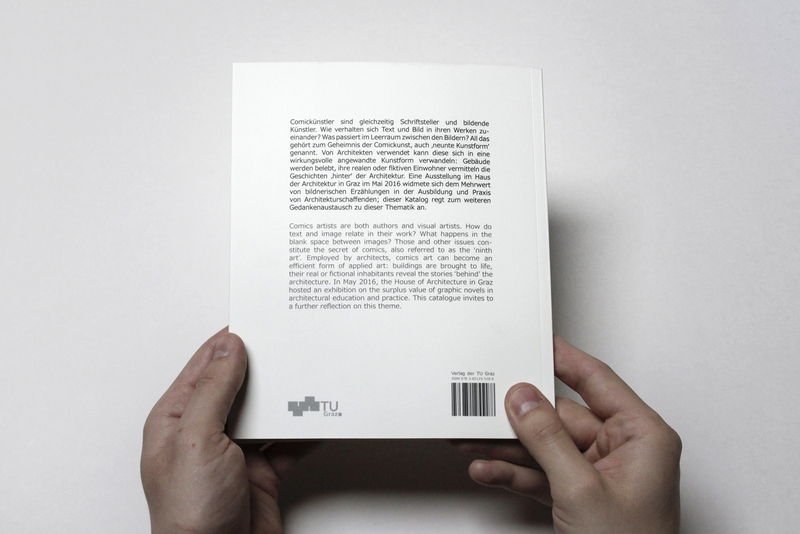 How do text and image relate in their work? 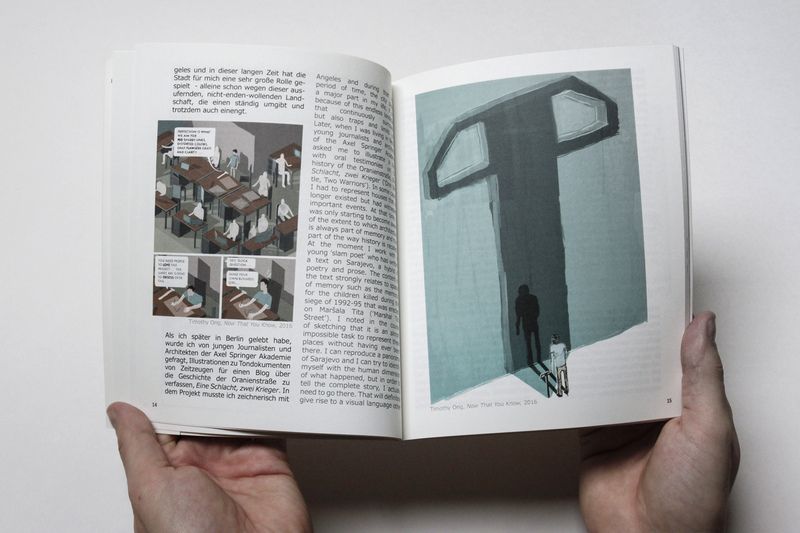 What happens in the blank space between images? 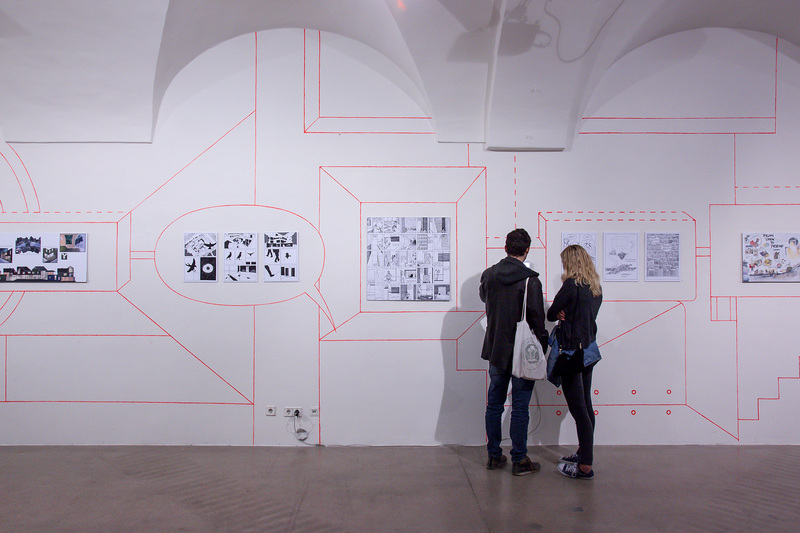 Those and other issues con-stitute the secret of comics, also referred to as the ‘ninth art’. 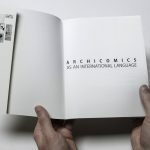 Employed by architects, comics art can become an efficient form of applied art: buildings are brought to life, their real or fictional inhabitants reveal the stories ‘behind’ the architecture. 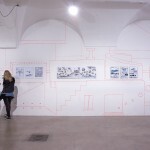 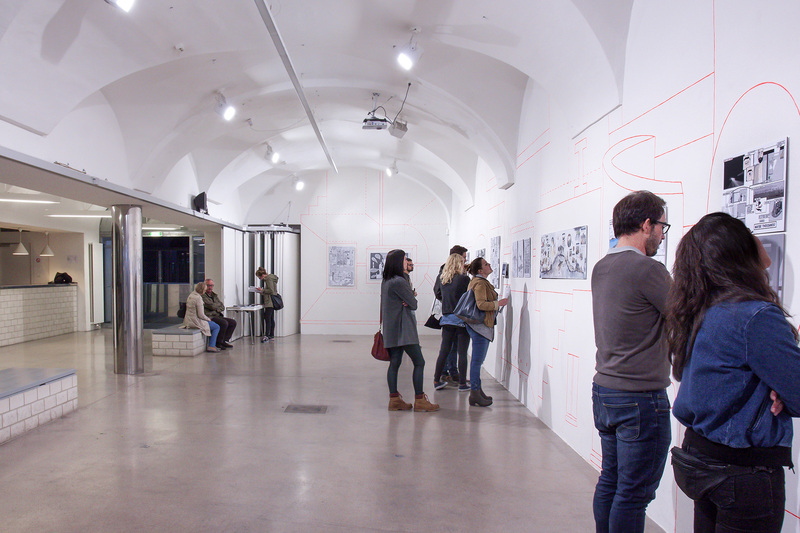 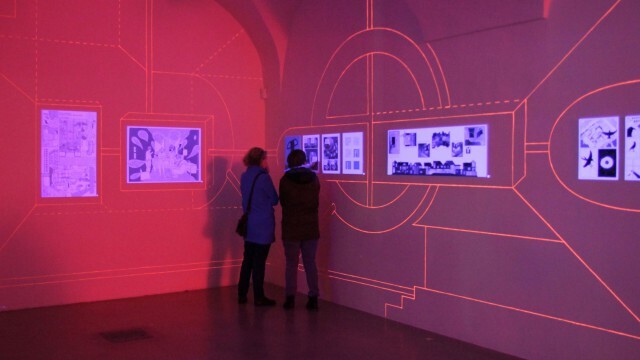 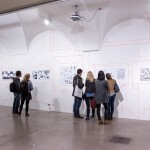 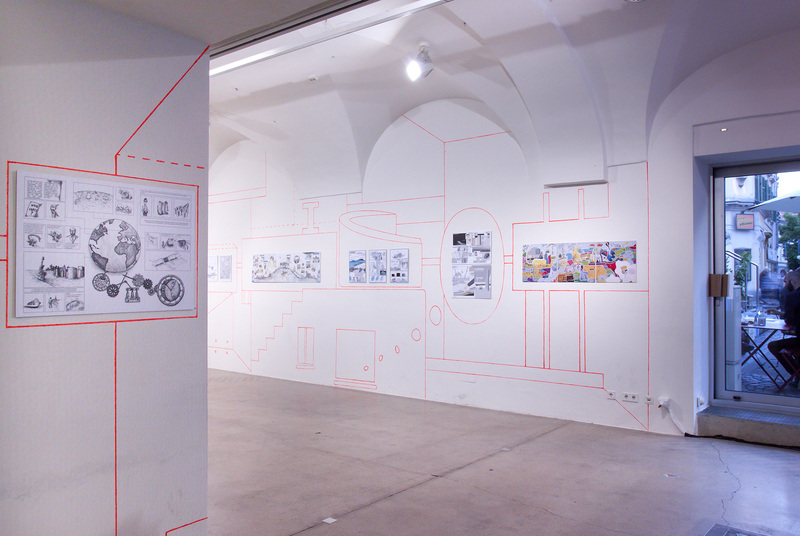 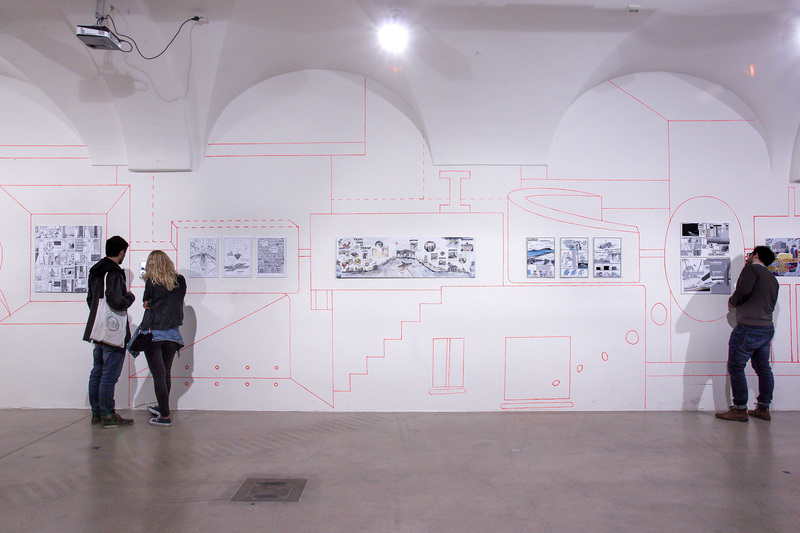 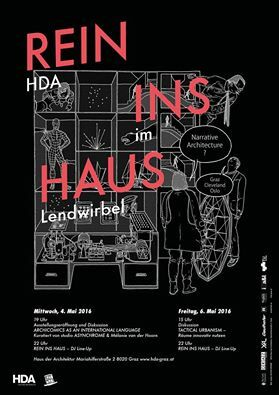 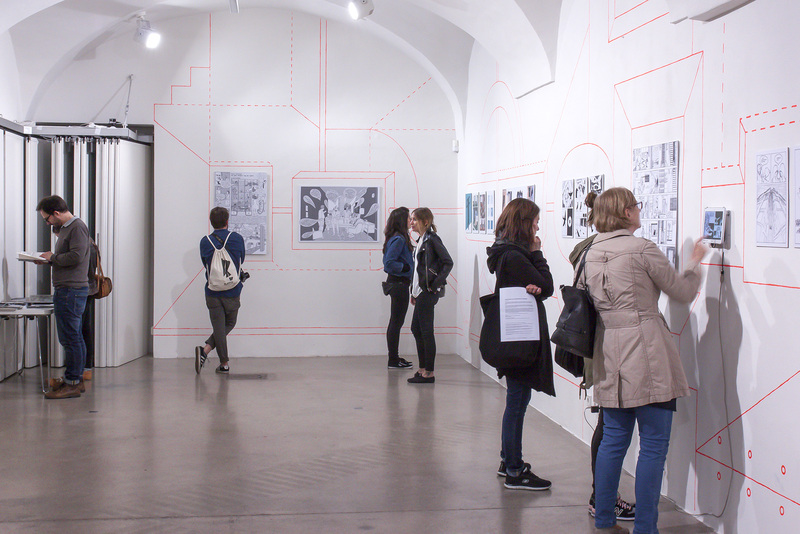 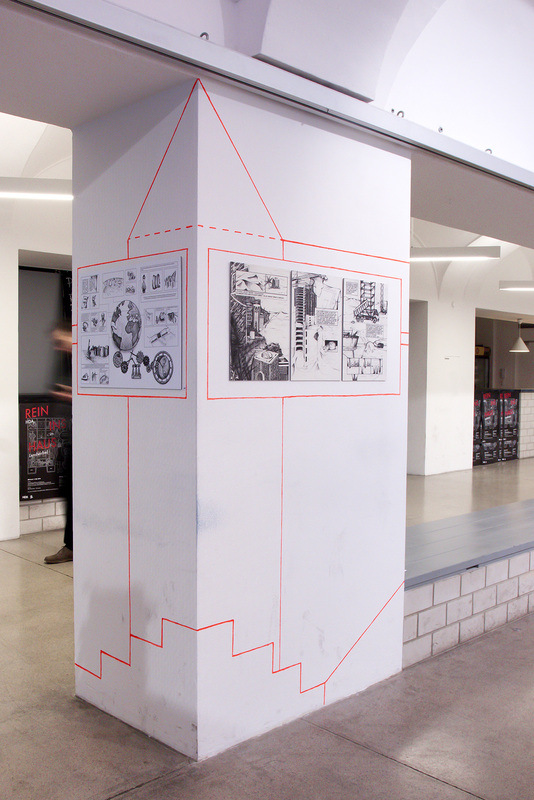 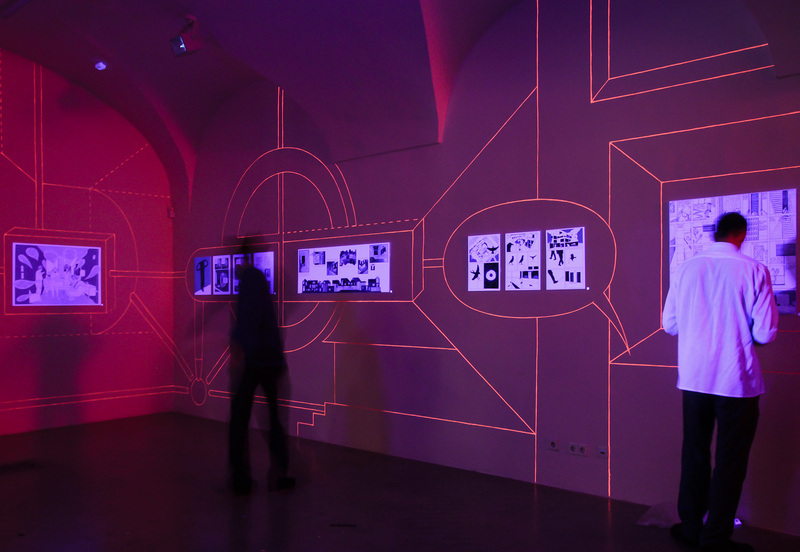 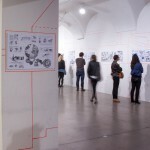 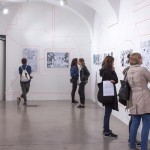 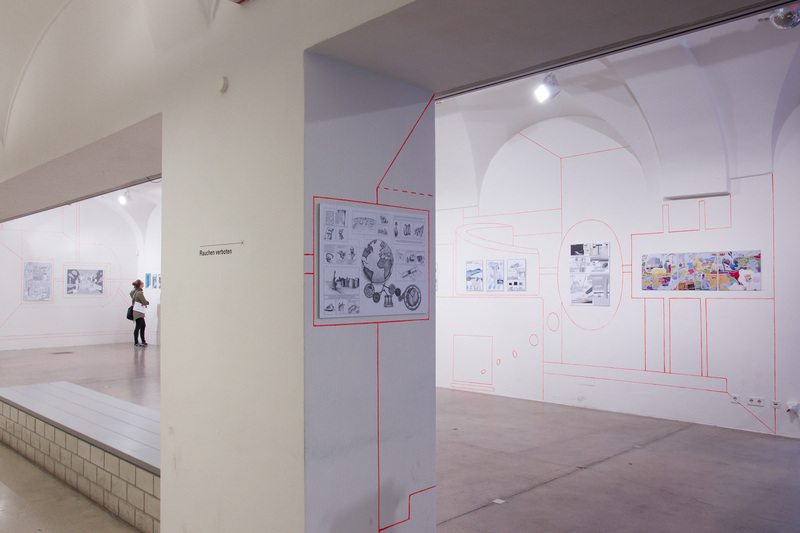 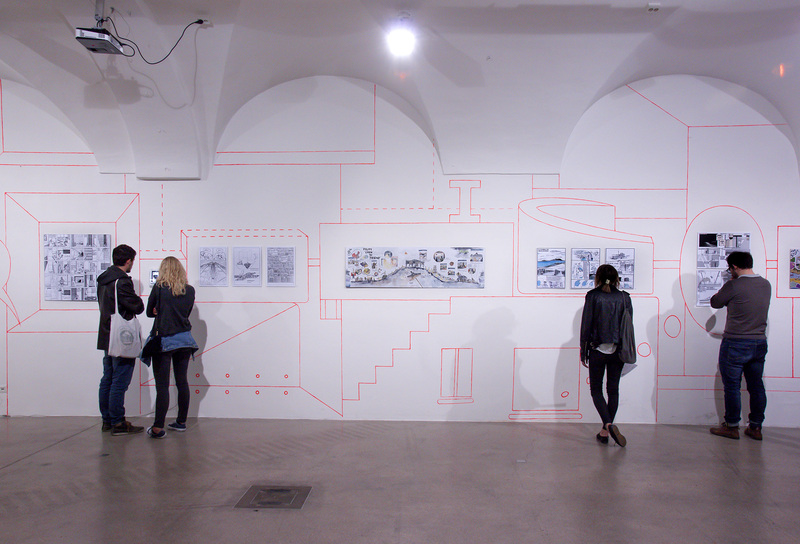 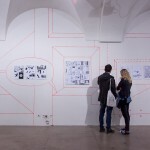 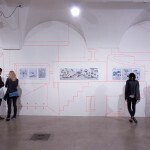 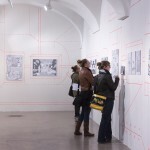 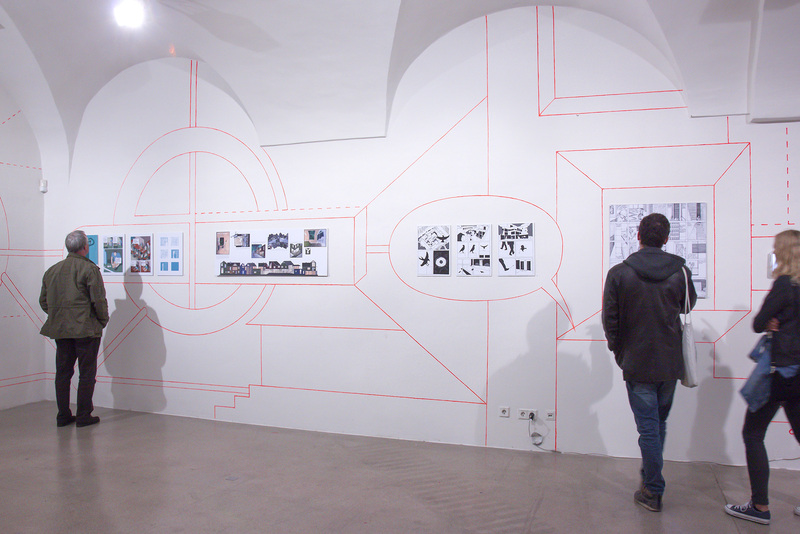 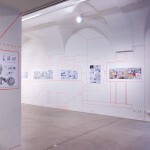 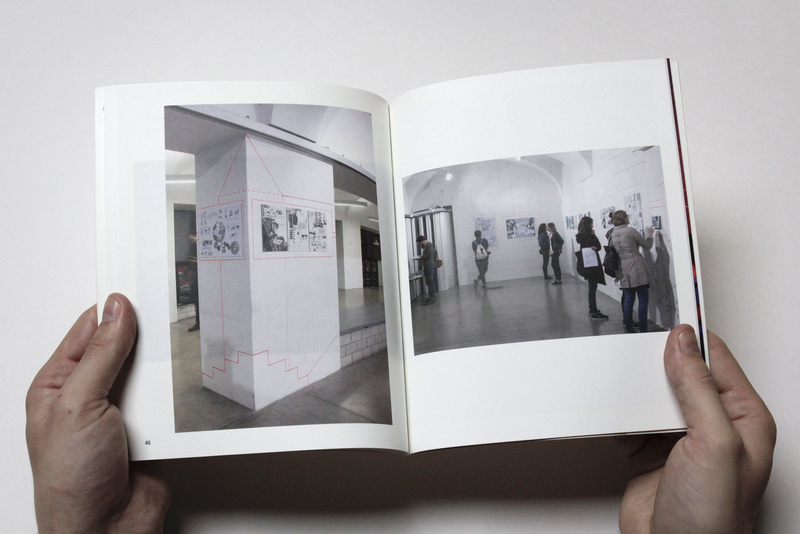 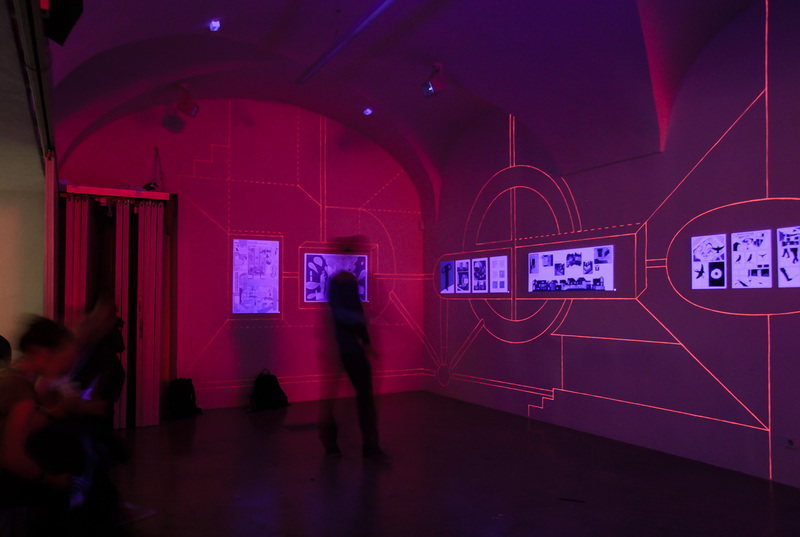 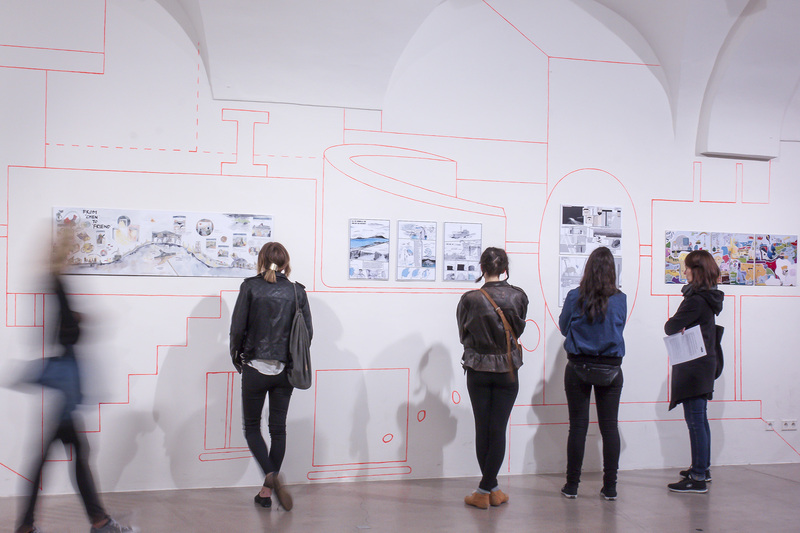 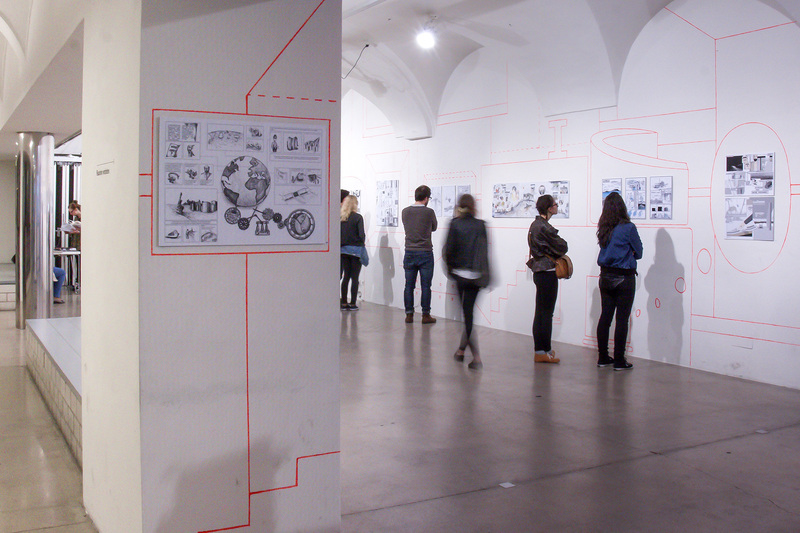 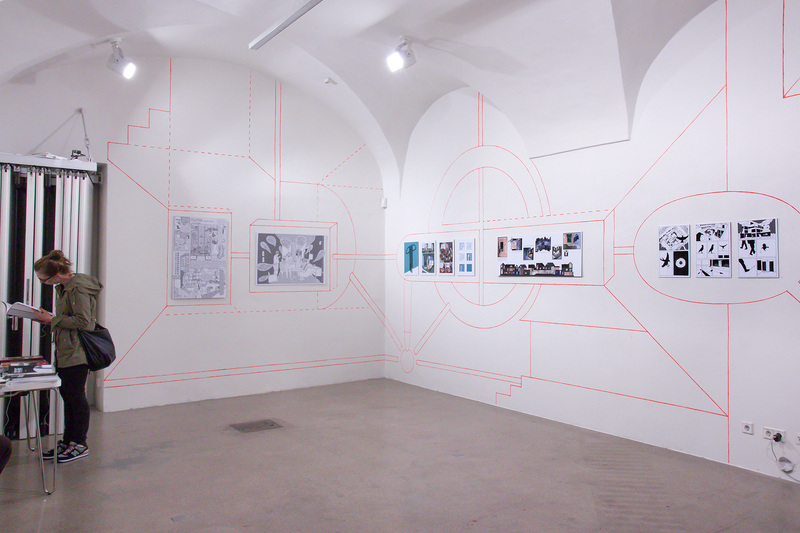 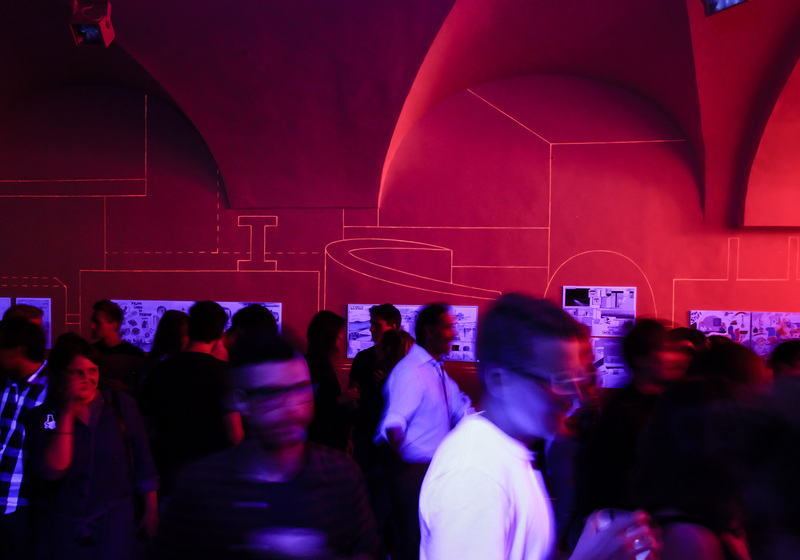 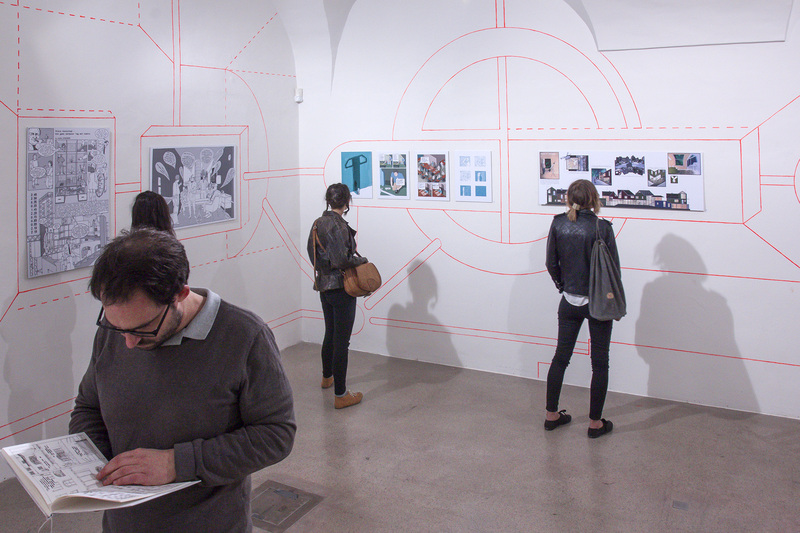 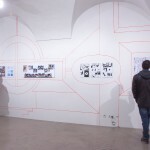 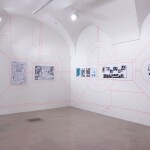 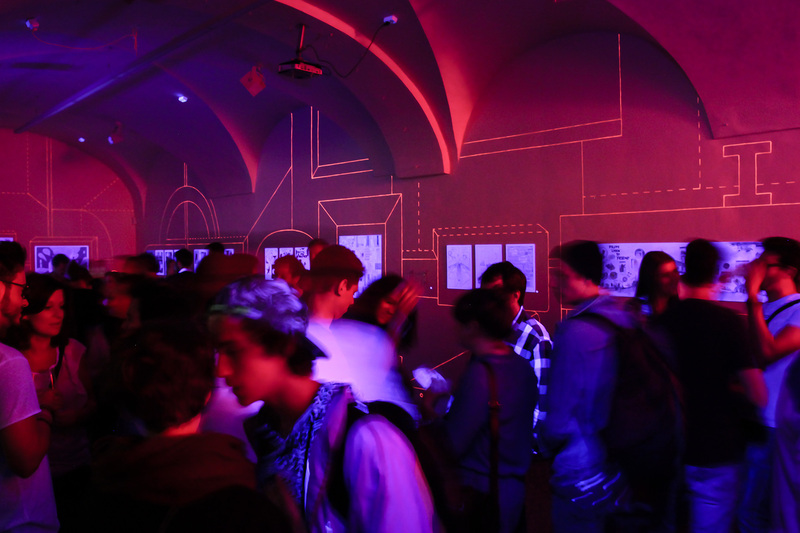 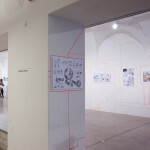 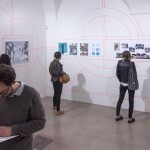 In May 2016, the House of Architecture in Graz hosted an exhibition on the surplus value of graphic novels in architectural education and practice. 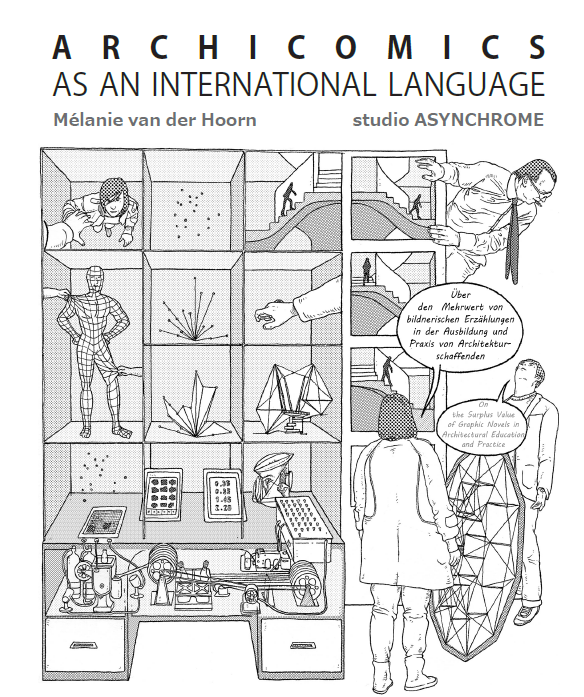 The catalogue edited by Mélanie van der Hoorn and studio ASYNCHROME invites to a further reflection on this theme.